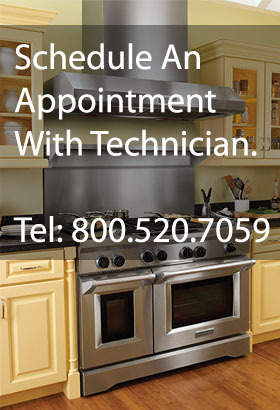 As a visitor to the www.kitchenaidrepaircenter.com website, you are anonymous to the company. Like many other commercial websites, www.kitchenaidrepaircenter.com may use a standard technology called a “cookie” that measures the number of visitors to the different sections of the website. Cookies are designed, generally, to collect and store the name of the domain from which you access the Internet (e.g., yahoo.com, if you are connecting from a yahoo.com account), the date and time you access the www.kitchenaidrepaircenter.com site, and the Internet address of the website from which you linked directly to the www.kitchenaidrepaircenter.com site. www.kitchenaidrepaircenter.com may use the information collected by cookies to improve its site and make it more useful to visitors. The www.kitchenaidrepaircenter.com cookies do not collect personal information. Your privacy is important to us. www.kitchenaidrepaircenter.com does not sell or exchange names or any other information about our on-line visitors with any company outside of Reliance Home Services. Of course, www.kitchenaidrepaircenter.com will never reveal your personal information to any third party without your prior knowledge and consent, unless the company is required to do so by law.